Every season brings new ideas from the world of fashion alongside old ideas resurrected and rejuvenated, and although it's fun to peek into the collective consciousness we call trends, not all runway hits are exactly wearable. If like me, you don't plan on donning jacquard head to toe or buying into a shoulder-baring puffer jacket, this little list is for you. 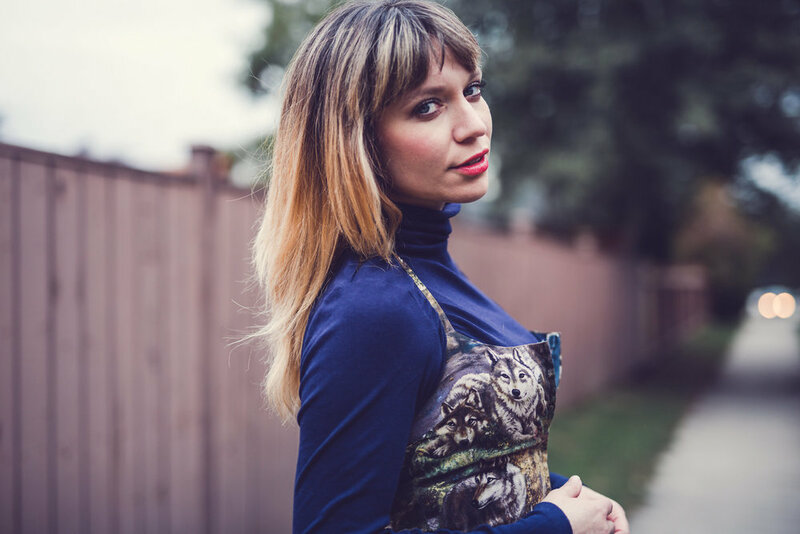 We'll take a peek at the catwalk and then see what local designers Whiskey Teacup, T. Akins, and Rebecca King have in store as we explore four trends that are easy to incorporate into your wardrobe. Photos (of Me) by Nicole Romanoff Photography. Love to get the most out of your summer pieces by putting transitional styling to work? It seemed like every designer had that same idea on their minds for Fall 2016. Above are the incarnations of the serving suggestion from Dior, Herve Leger, Oscar De La Renta, Proenza, and Valentino. My favourites utilize a turtleneck for maximum autumn-ness. In real life, it's an easy look. This wolf print dress from T. Akins pops with my basic navy turtleneck and I added some socks-under-sandals fun to compliment the unusual layering theme. Structured and classic, we saw long coats and vests with lines borrowed from suiting (and sometimes from the Navy) on the runways of BCBG, Chanel, Tom Ford, Tommy Hilfiger, Burberry, and Dennis Basso. With her combination of precision tailoring and classic fabrications, of course Rebecca King's mind went to the longline suiting piece. I love vests because they add a layer without taking away from your blouse or making you uncomfortably warm indoors. 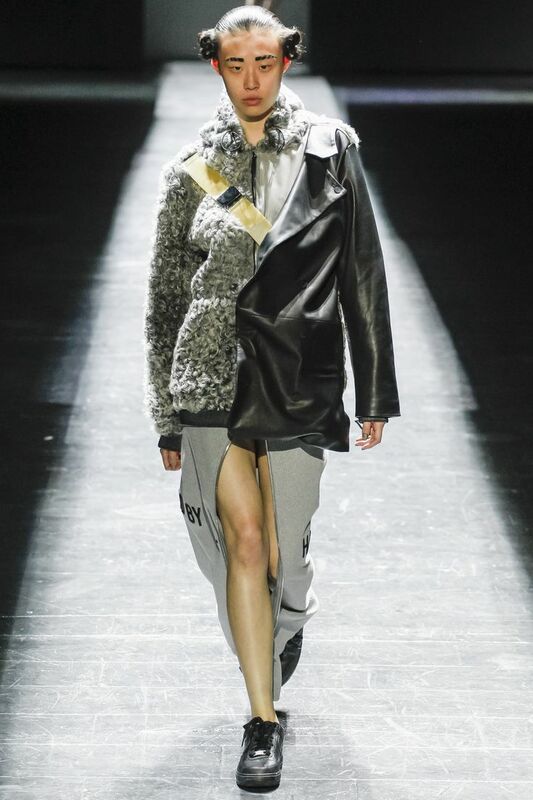 From Alexander Wang and Vetements to the original badgirl, Riri herself (for Fenty and Puma), bits of black pleather and cheeky mesh abounded on the catwalks. Louis Vuitton, Saint Laurent, Philosophy Lorenzo Serafini, and Hood by Air were all in this game, too. Whiskey Teacup is all about simple, modern pieces that feature eye-catching detail like super-long fringe, sheer cut-outs, or (like the hooded tank I'm wearing above), pleather bits of shine. 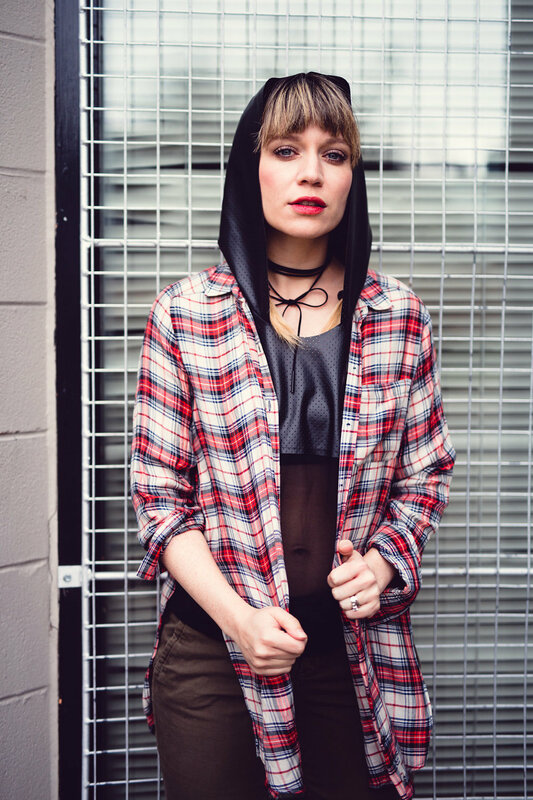 For autumn, pairing this piece with a plaid button-up was a no-brainer and the bowtie choker necklace keeps the badgirl vibes going. So, you're a boho lover and don't want to give it up. Not to worry, plenty of pieces are being created just for you! Missoni, H&M, Ana Cristina, Alberta Ferreti, Roberto Cavelli, Rochas, and Valentino all crafted pieces that show the soft, flowy, and sometimes Renaissance-inspired side of the seventies. Rebecca King came through for me again with her amazing soft trench-style cardi; it nips in at the waist and drapes perfectly down from there. I added a favourite floppy hat and a beaded fringe necklace to complete my easy seventies look. If you're a lover of the gaucho, that would be a great addition to the look, too. Thanks to Nicole Romanoff Photography, Whiskey Teacup, T. Akins, Rebecca King for their collaboration on this post. 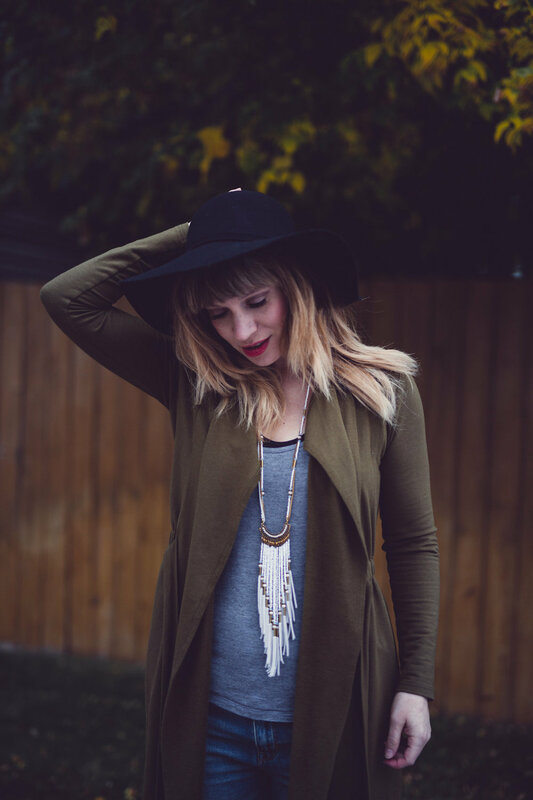 And as you dip your toes into trends this season, keep in mind that although Saskatoon is small, our force in fashion is mighty and your next perfect piece could easily be a locally made one.